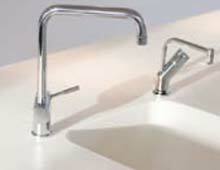 Corian is the brand name for a solid surface material created by DuPont. It is composed of acrylic polymer and alumina trihydrate (ATH). Corian can be thermoformed by heating it to 150°C, allowing unique shapes to be created. Its primary use is in kitchen countertops, bathroom vanity tops, and wall cladding in showers. 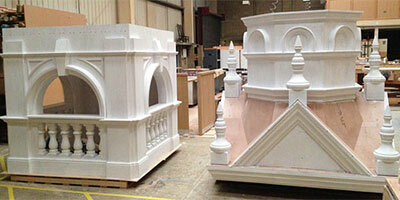 Corian is manufactured in three thicknesses: 6 mm, 12 mm and 18mm. Cross-section cuts show consistent color and particulate patterning evenly distributed throughout the material. Nicks and scratches can be buffed out with a Scotch-Brite pad or orbital sander. In the fabrication process, joints can be made invisible by joining the relevant pieces with Corian's own color-matched two-part acrylic epoxy. The pieces are clamped tightly together in order to express any excess adhesive. After the adhesive dries, the area is sanded and polished to create a seamless joint. 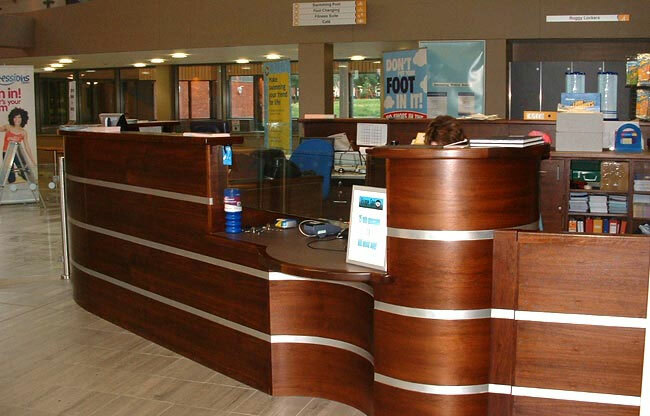 Jacobs Joinery used Corian in the construction of fitted coffee counters at eat in/take away outlets for Moto Service Stations.